Ah man, where to start! I get so excited every year this show happens. I can honestly say that this is probably the biggest car show week/weekend. It is held is Austria every year around this time and it NEVER fails to deliver on a staggering amount of attendance and cars. I know I always praise H2O for being the best show of the year, but Worthersee has it beat. 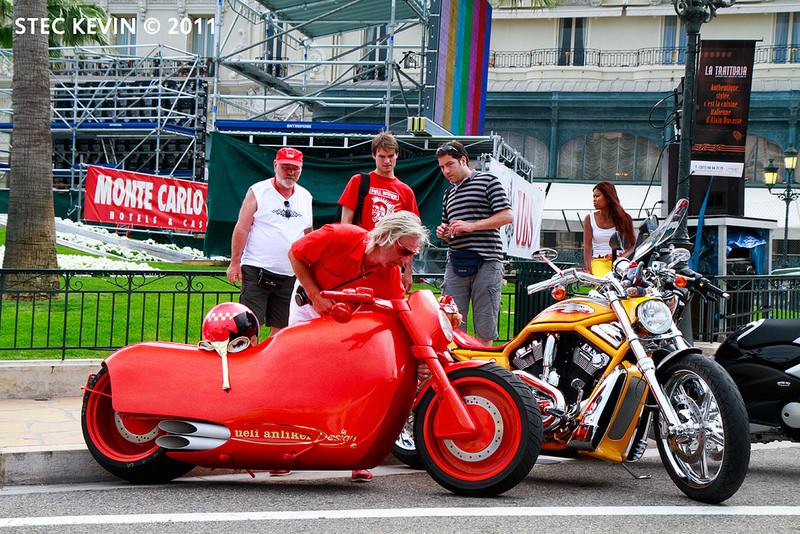 In H2O we take over a strip along the water, but with Worthersee the car enthusiasts take over an entire town. In its 30th year running it will offically start on wednesday, although people have been there since last tuesday!!! Plain crazy! I was planing posting up a couple pictures of my favorite cars so far, but since I have about 200 pictures from a show that hasn’t even “officially” started I’ll give you a sneak peek with these video found. Seriously, this is the best video ever! Really nice MK4 R32 on air. The car is his baby. I think we can all relate when something like ice cream is spilled in your baby. No matter how pretty a girl you have a passenger seat. HAHA. I wouldn’t normally post something like this. But for some reason this Harley really caught my eye. It’s very, very different to say the least. What catches my eye is the fact that it is ALL red. I mean, take a second to look at it. Everything from the front forks, hand grips, even the kick stand! I just has a ultra modern, ultra clean look to it that is undeniable. Must hurt like crap with out a seat though! I have to say, I would go as far as rocking the red sunglasses, shirt and sneakers, but I do just credit where credit is due. Highly modified aircooled beetles have been around for ages. 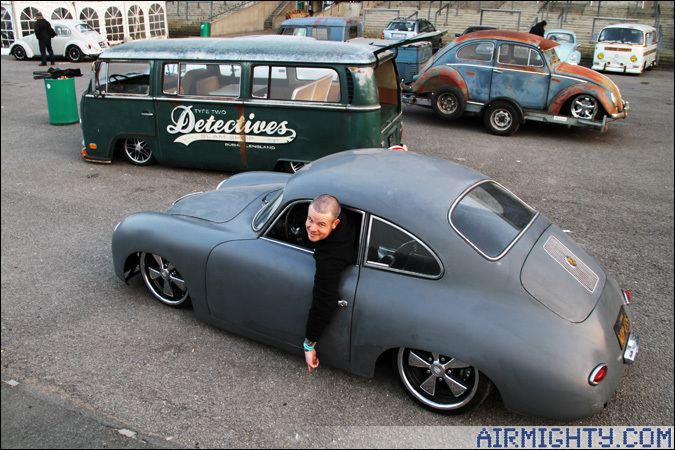 But for many reasons, you rarely, if at all see these Porsche 356 so highly modified. I have to say, this flat grey example slammed on it’s balls makes me want one BAD! btw, The green Bus in the background is nuts too! Ok, I understand that Ford is making huge steps forward in it’s industry. I think we can all say that their car’s quality and looks have improved dramatically is the last 2 years. But I have one question. 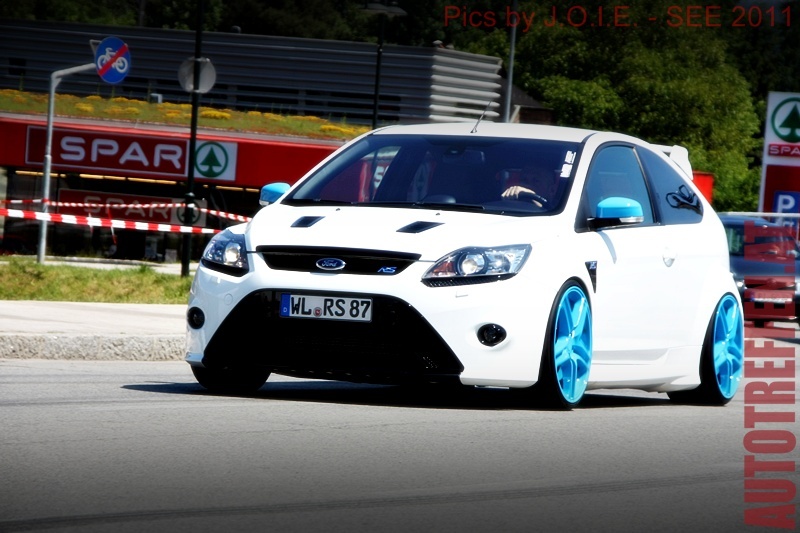 WHYYYYYYYYY didn’t you bring the Focus RS to the states!?!?!?!?!?!?!?!??! 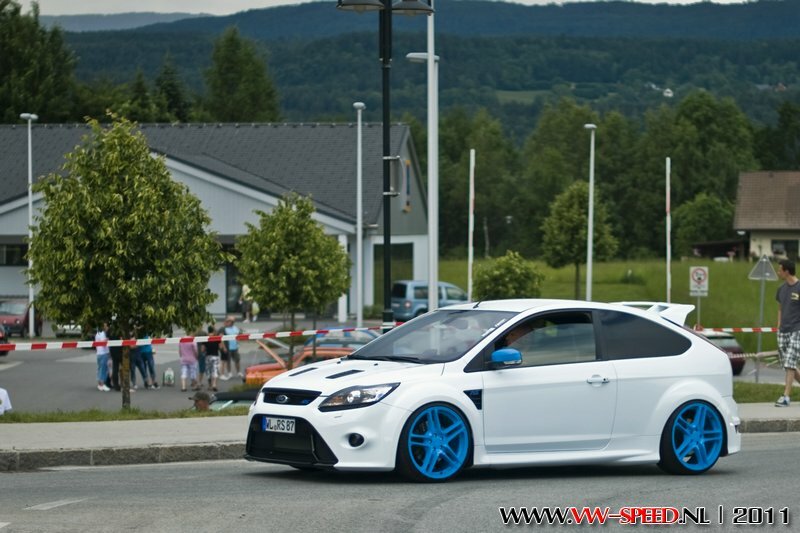 The European RS is easily the best looking(and probably performing) Ford I ever seen. People would literally line up to buy that hatch. I mean c’mon!!! The pictures I found below prove my point even more. I mean just look at that machine! 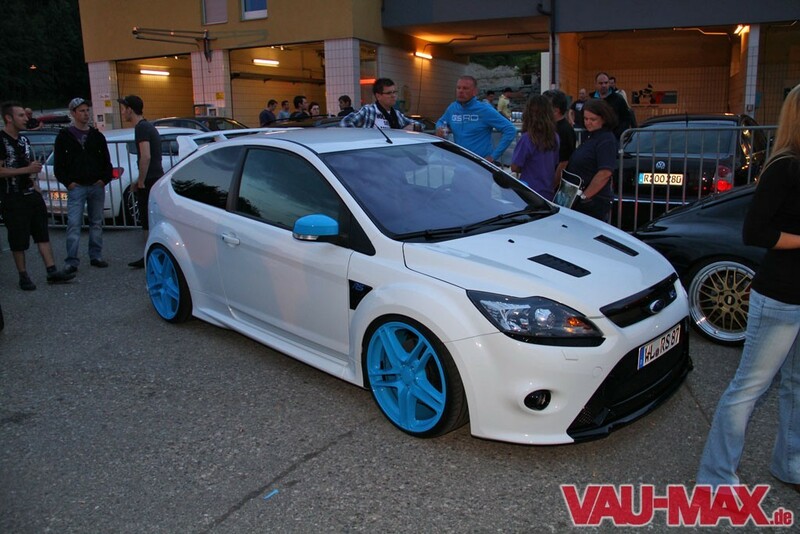 btw, this car is out for the Worthersee tour. The show “offically” starts next thursday, but people have been out there since tuesday. Pretty crazy. I have to say this is one show I NEED to attend one year. I have about 100 pictures saved so far just from the past couple days of quality cars. Another short video from Simply Clean. Having just came back from a Florida vacation, I was reminded with this video how jealous I am of the, smooth as glass, roads down there. A little MTV cribs style video with a super clean S4 on Rotiforms and an even cleaner MK2 sitting on schmidt wheels. I can not express how much I love the small bumpers on the MK2’s. I would rock this thing all day and night. Southern Worthersee seems to be getting bigger and more popular every year. It is held in a town that looks like it should be in Germany. I would love to go one year. The only thing holding me back is the 15+ hour drive one way. Here is a great video covering the event. A lot of quality cars.